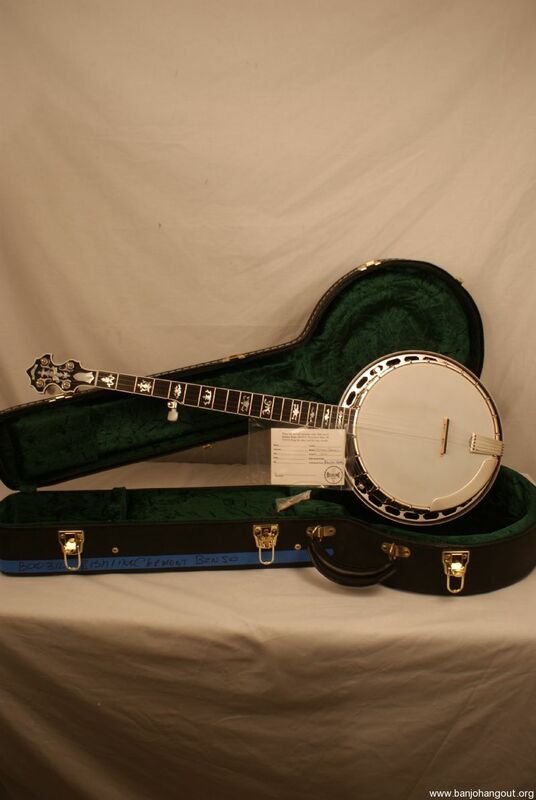 This banjo is a fantastic american made banjo that has been well taken care of and is set up for maximum playability. 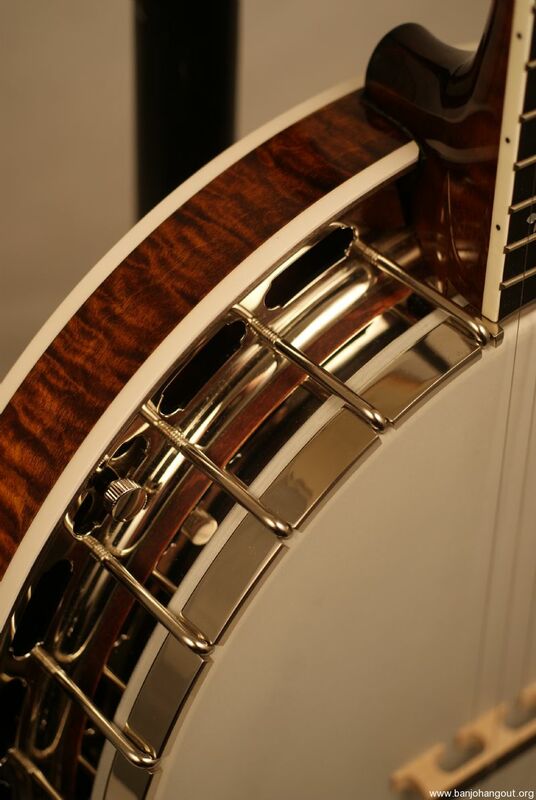 This is a maple banjo that features a cremona finish. The binding is white and the neck has a rosewood fretboard that is fully bound. 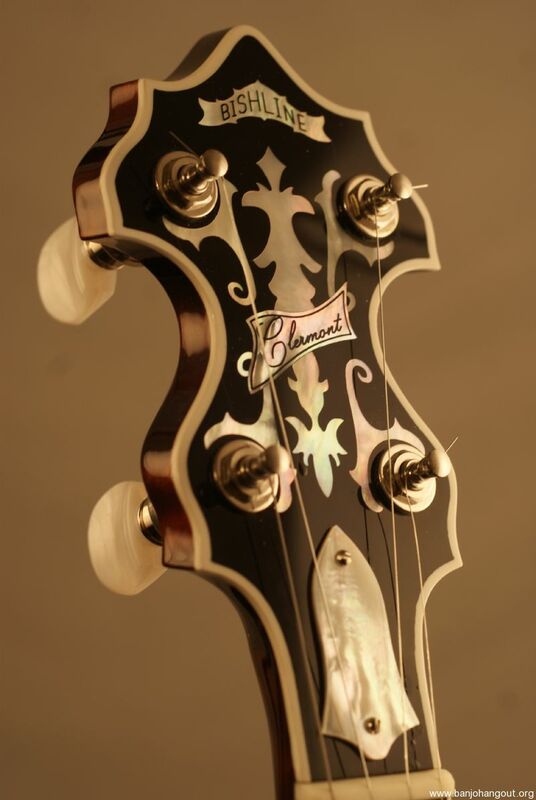 The neck also has gorgeous inlay going up the fretboard and the headstock has a nice bishline logo. The hardware is nickel plated. This is a new banjo with warranty. Plus this has the original Bishline hardshell case. We have already included spikes at the 7th and 9th frets. The banjo is in new condition. This is clean all the way around. The finish looks great and the hardware is glowing!. 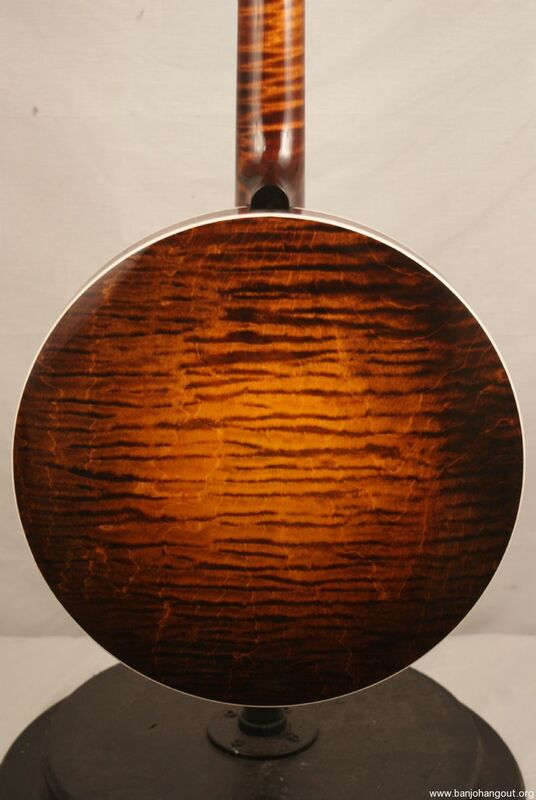 The inlay on this looks incredible. This has been set up and plays and sounds incredible. The original case is also clean. 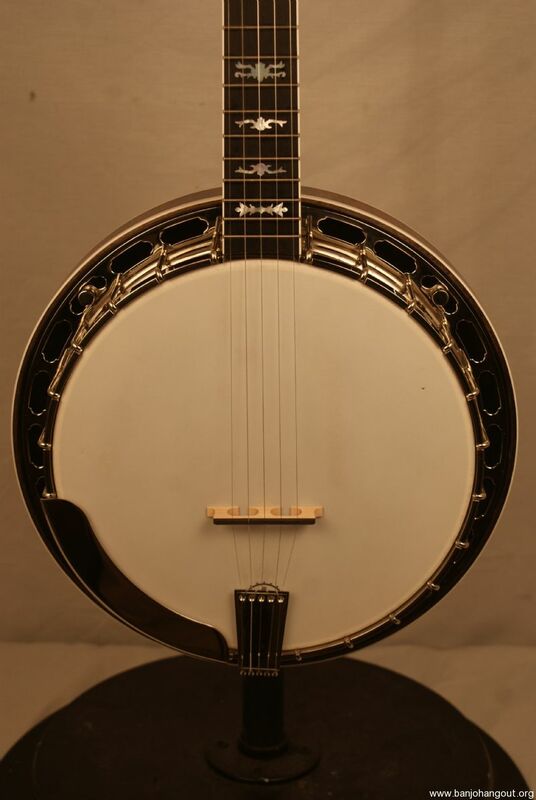 We took this from banjo.com and this has the original warranty as well. All of our sales include Free Shipping. We set up all of our banjos in house before shipping. All of our sales include a 7 day Full Satisfaction Guarantee. We also ship worldwide.